For all the the Cross House has been through (private residence, sanitarium, tea room, fraternities, sororities, apartments, motel, boarding house) it is amazingly, astonishingly intact. Save some bits. Like all the original lighting is long gone. BIG sigh. 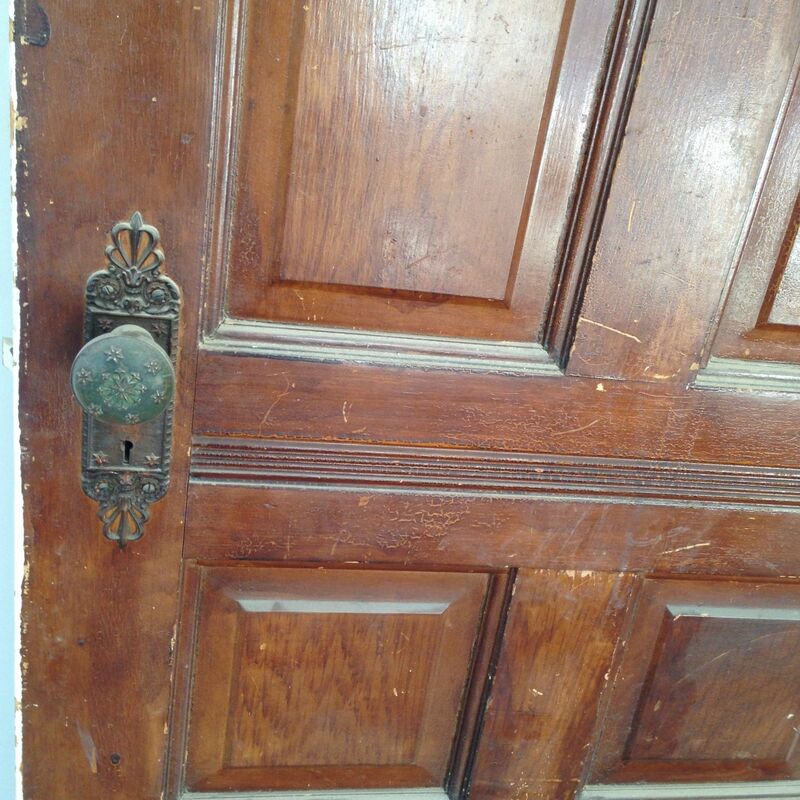 There are also about four interior doors which are Gone Door. I have looked through countless doors at salvage yards but cannot find the two types needed. So, I post them here with the hope that somebody will think: Hey! I have just those doors in my garage! The downstairs doors. They have a rare pattern of inset panels. And an even rarer horizontal reed detail. The reed detail. This aligns with trim on the walls. The upstairs doors. Not quite the same, and minus the reed detail. This is the door to former apartment #4. After the door is restored, I will return the 4 to the same place. 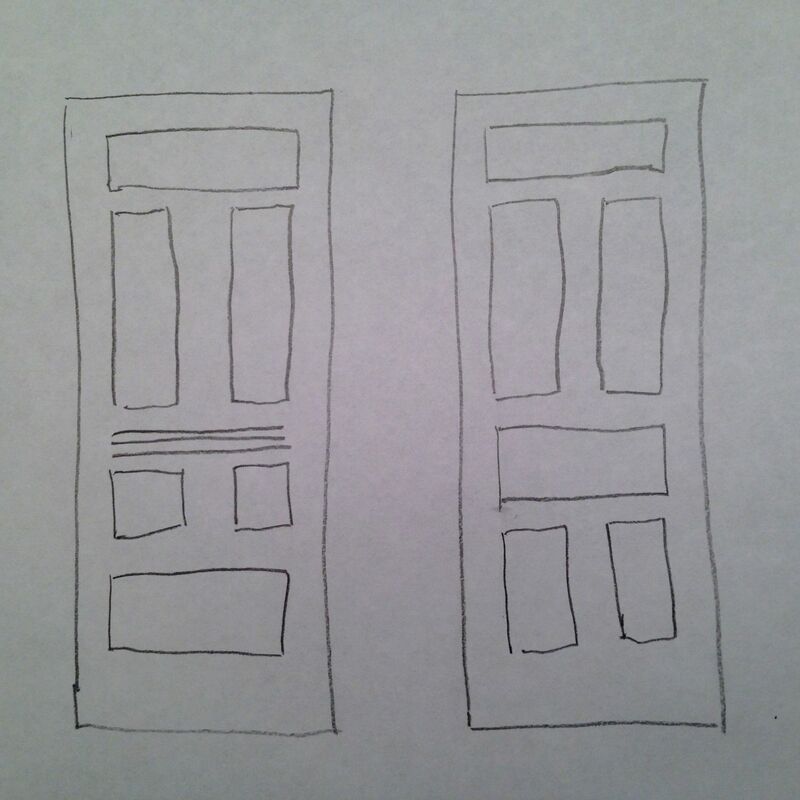 LEFT: Downstairs doors. RIGHT: Upstairs doors. See the difference? I gasped when I saw the first photo, but then I scrolled a little more. I’ll keep these in mind though. I’d have happily worked something out with you if they were a match. There is a company in Weston Mo that could make new ones like that. If you are interested I could send you their email address. What are the measurements you need? The upstairs door are 32 x 89.